Our Practice | Melanie L. Aya-ay, M.D. Our team is comprised of a group of individuals who are focused on education, safety, and personalized medical care. Our goal is to provide excellence in patient care in a safe and comfortable environment. The first step to achieve a safe plastic surgical practice is board certification by the American Board of Plastic Surgery. 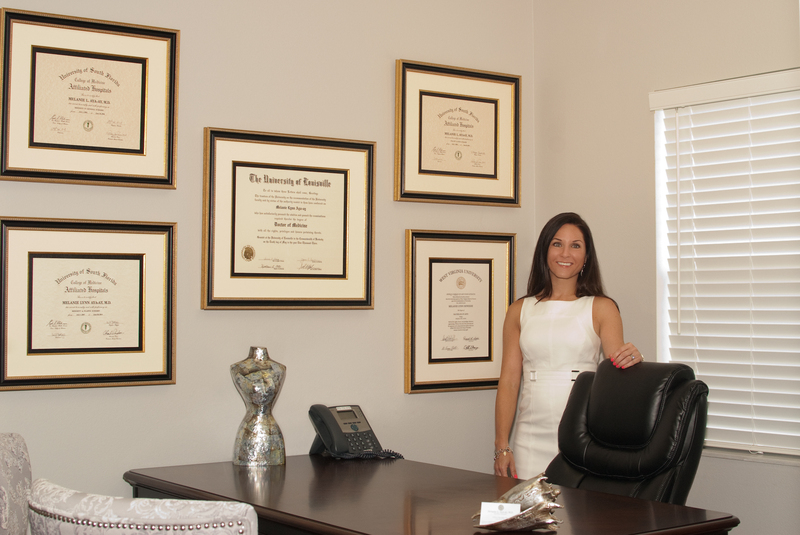 Dr. Melanie Aya-ay is board certified by the American Board of Plastic Surgery. She is committed to continued education and will provide her patients with state of the art techniques. During your first visit with us, we will thoroughly review your medical history, medications and perform a detailed examination. We listen to each patient to understand their individual goals and desires. The consultation is an educational experience for both the patient and their family and we will be certain that your questions and concerns are addressed. This personalized and specialized care is the cornerstone of our practice at Melanie L. Aya-ay, M.D. Plastic Surgery, P.L.